^ Lai, Stanley. Chapter V: The Position of Scenes a Faire in English Law. 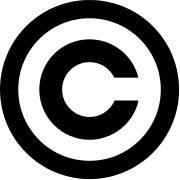 The Copyright Protection of Computer Software in the United Kingdom. Oxford, England: Hart Publishing. 1999: 54–56. ISBN 978-1-84113-087-3. ^ Supreme Court upholds first-sale doctrine in textbook resale case. [2014-03-01]. ^ ダウンロード違法化、どこまで合法？　福井弁護士に聞く. [2013年4月12日] （日语）.